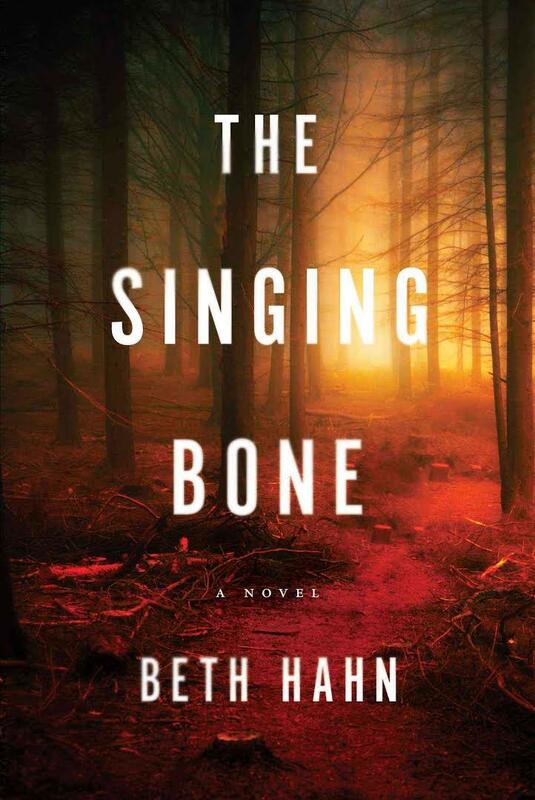 When I finished Beth Hahn’s remarkable first novel The Singing Bone – a process that took me just three days – I closed the book and wept. I wept because there was so much pain experienced by the characters in the book; because I felt for them even though I had never been through anything like that; because the book was over but those painful feelings lingered on. Readers may be immediately reminded of Gillian Flynn’s Dark Places; the narrative thread shifting between past and present, the troubled woman protagonist, and the horrible things that take place in the pages all mark the work of both writers. But while Flynn lures you towards the witch’s cottage with breadcrumbs in order to elicit sympathy for an often-unsympathetic main character, Hahn’s method is inextricably tied to the path that Alice Pearson takes and the way that she takes it. A detailed plot synopsis would destroy the delicate balance of suspense and heart-wrenching anguish that Hahn has crafted within The Singing Bone, but you should know this: Alice Pearson has a past. Something happened to her in the late 1970s and it altered her life forever. It wasn’t just Alice, though; it was also her high school friends Molly, Trina, and Stover. Where are they now? What happened to them? What happened to Alice and why did she have to change her name? And who is Mr. Wyck? Much of The Singing Bone has to do with attempts at answering these questions, both for the reader and the characters within the novel itself. The factual accounts of what happened don’t come until late in the novel and even then, those revelations don’t bring closure. The brain is a small organ but the mind is a deep, dark, and scary place where one can get lost and never come out, especially when you’re not sure who you are, where you are, or what is real. There are a couple of brief references to Charles Manson in The Singing Bone, casual mentions that don’t seem directly related to the plot at first. Yet Hahn’s writing is purposeful and those names are there for a reason. If you know enough about Manson and the Family, you’ll already recognize the wilderness in which The Singing Bone dwells long before those clues are dropped. This isn’t to say that The Singing Bone is a retelling of that story. That story, however, is one that still needs to be told because it still feels so frighteningly current: sociopaths preying on susceptible young women and the terrible things they do because of it. The Family is an account of the events leading up to the Manson murders. Helter Skelter described the Manson trials, and was turned into a couple of TV movies. More recently, there is NBC’s Aquarius. Although I eventually grew to enjoy it, my initial response to Aquarius was tepid. For a show which marketed itself as a prequel to the summer when the Manson Family committed the Tate-LaBianca murders, it was decidedly less creepy than a movie that had nothing to do with the summer of 1969: 2011’s Martha Marcy May Marlene. That movie seems like a precursor to Hulu’s even more recent The Path, another look at the terrifying rabbit hole of cults and how they continue to proliferate. We continue to be fascinated by the dynamics of cults because they continue to exist, but what we should truly concern ourselves with are the women. They become victims of these cults led by men who hold sway over their minds and bodies, and we should never stop talking about how to empower women to avoid them. The Singing Bone isn’t a cautionary tale, per se. There are far too many loose ends and unanswered questions for it to feel like a made-for-TV movie (though I’d love to see it transformed into a Netflix original series). While loose ends and unanswered questions might frustrate those who like their suspenseful tales to be completely resolved, there are those of us who know that in real life, they rarely are, but that we must carry on in spite of it. The Singing Bone is available in hard cover on Amazon from Regan Arts.